Fusing medieval history with a cosmopolitan city life, Kilkenny buzzes with an unforgettable energy. From the walls of the marble city, to the network of towns and villages that are dotted around the verdant countryside, this ancient county at the centre of Ireland's Ancient East packs maximum wow-factor in to an easily navigable space. Kilkenny Castle was gifted to the people of Kilkenny in 1967 by the Butler family, for only £50! Right in the thick of the action is Kilkenny city's Norman castle. Surrounded by a network of maze-like alleyways and lanes, it's an exciting adventure to see where, and in which century, you'll end up. 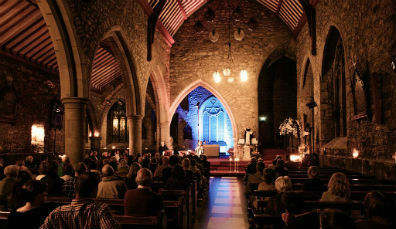 You might find yourself in St Canice's Cathedral, with its massive stained glass window, travelling through time at the restored 17th century Rothe House, or knocking about a sliotar while practising hurling at Nowlan Park. Step out of the city, and the necklace of towns and villages along the River Nore waits to transport you to a fairytale landscape. Through Bennetsbridge, Thomastown, Inistioge and more, discover a landscape that harks back to ancient times and tales. The countryside is suited to driving, cycling, or walking – follow the Blasta food trail, the Made in Kilkenny craft trail, or discover gold in Castlecomer. 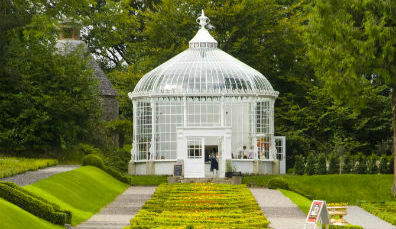 Kilkenny always has something new to explore, another hidden gem that you just might have missed the first time around. Stumble across hidden galleries in the city, unearth Viking gold at the Dunmore caves, or discover the lost town at Jerpoint Park – in short, don't just plan one trip to Kilkenny – plan a few! George Clooney's great-great grandfather was baptised in Windgap church in Kilkenny, in 1829! Wander the opulent terraces and arboretums at Woodstock Gardens, and discover a world of botanical beauty. Get lost in the maze of alleyways and streets that make up this stunning medieval city, in the centre of Ireland's Ancient East. 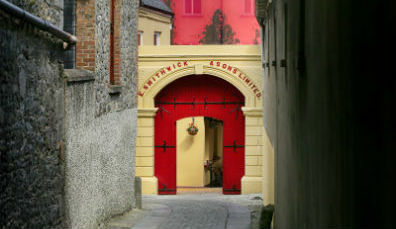 It's the oldest ale in Ireland – discover the story of Smithwick's at this immersive experience, and discover the illustrious history behind this Irish staple.